Honor has been on a roll since its early 2018 entering into the market with back to back successful phone launches at a great value of price. Honor always keeps on giving surprises to its fans and family. 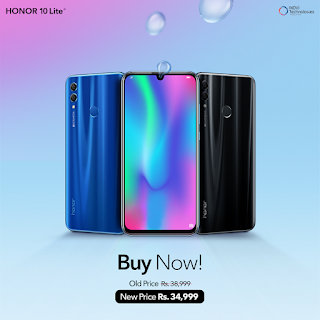 After the price drop of Honor 8X and Honor 7C, now Honor is bringing the amazing new price for its previously launched smartphone Honor 10 Lite which was earlier available in the market at the price of Rs. 38,999 but now the reduced price is only Rs. 34,999. Back in December 2018, Honor launched Honor 10 Lite; the sleek and stylish smartphone belonging to the Honor 10 series with great 24MP Dual AI Camera, immersive 6.21” Dewdrop Display and outstanding features. 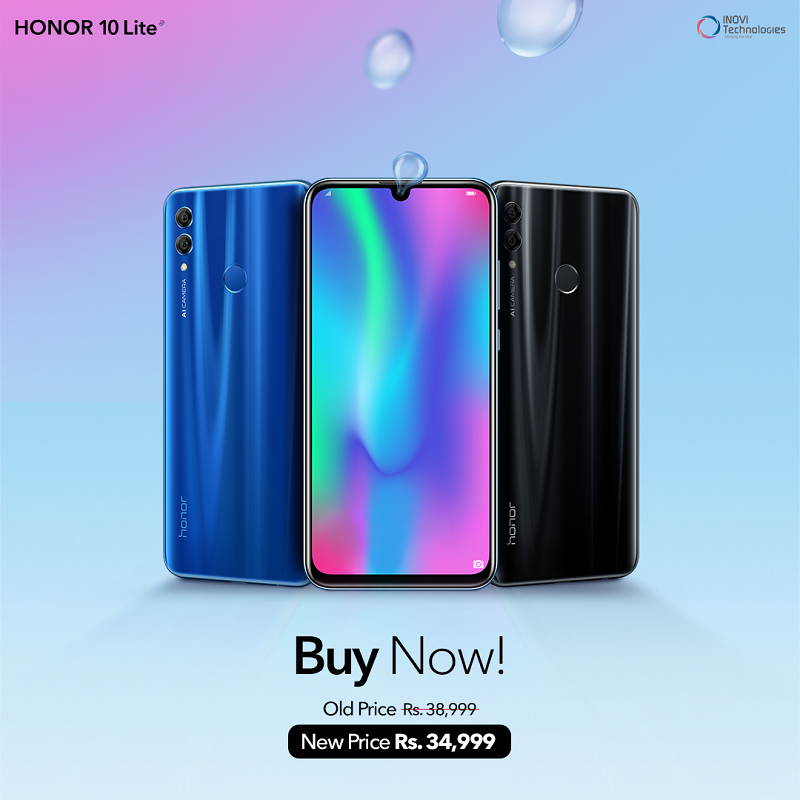 Honor is now launching a wide range of device in the market and with this, it is coming up with new prices offer as well in 2019.